I had the pleasure of interviewing Geoff Gross. 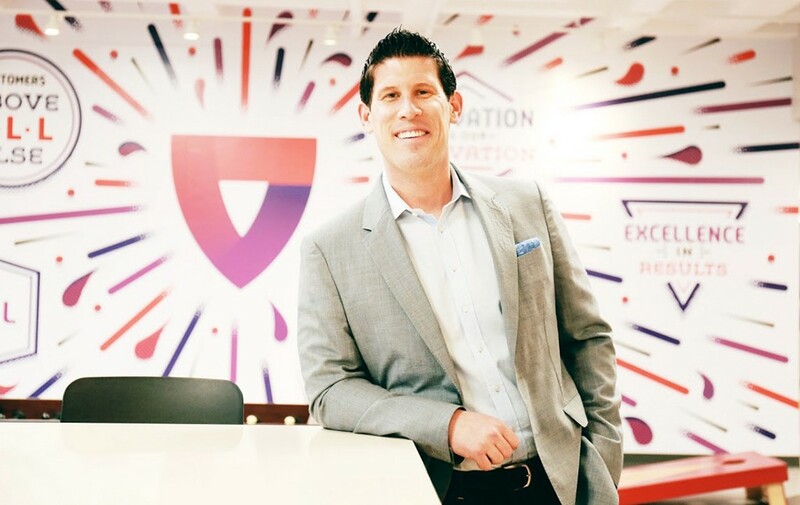 Geoff is the Founder and CEO of Medical Guardian, a leader in connected care and one of the nation’s leading providers of personal emergency response systems (PERS). As an industry veteran, Geoff can attest to the powerful potential and value of technology and healthcare — a coupling that embodies the connected care movement. To meet the needs of aging Americans and understand the audience’s challenges (financial security, mobility, falls, loneliness and transportation), Geoff’s company has expanded its services with first-of-its-kind technology advancements to safely and confidently help older adults age in place and on-the-go. Geoff was named a Glassdoor Top CEO in 2018, ranking #38 out of 50 in the U.S. small-and-medium-sized business category and has been named a four-time finalist for Ernst & Young’s Entrepreneur of the Year. I’ve always had a passion for entrepreneurship. My dad was a serial entrepreneur and had a business in the home security industry. A lot of my business ideas stemmed from being around him and his company for so many years, especially at a young age. During college, I would come home from school, work in the collections department, go out with installers, and learn the business from the ground up. What led me to the medical alert industry is very close to my heart because it involved my grandmother. When my grandmother was in her 80s she started to experience falls from time to time. One night, she fell in the bathtub and was unable to get herself out, resulting in her laying in the tub overnight until her neighbors noticed her lights were still on the next morning. I founded Medical Guardian shortly after my grandmother’s bad fall, as I was determined to provide simple, reliable and affordable medical alert services to older adults across the nation. I haven’t looked back since! I grew up on watching reruns of the Brady Bunch. Since our main demographics are senior and caregivers, it became my new goal to connect with Florence Henderson (known for playing Carol Brady on The Brady Bunch) to support and endorse our services, as she could easily relate to our prospective customers and their loved ones. Florence understood that with our services, she would be seen as an active, vibrant older adult who would have the freedom to do the things she loved, while getting the round-the-clock protection she deserved. My favorite “TV Mom” ended up becoming Medical Guardian’s spokesperson and she even made a cameo aside me in our company videos, which we used to debut at our annual Holiday Party! People are now living longer than ever before, and seniors are more social, active and tech-savvy than generations’ prior. Additionally, with longer life expectancy, declining marital rates, and smaller family sizes, there’s been an increasing caregiving demand in America today, resulting in a Caregiving Crisis. To support seniors, alleviate the caregiver crisis, and break away from the stigma often associated with traditional medical alert systems, Medical Guardian designed and launched a first-of-its-kind medical alert wearable smartwatch to keep older adults safe and caregivers easily connected with their loved ones. This wearable medical alert device, Freedom Guardian, offers more features than a traditional medical alert system only offering a “HELP” button. The Freedom includes speech-to-text messaging, calendar and appointment reminders, 3-day weather forecast, and advanced location detection. A caregiver or family member can also easily check in with their loved one directly through our Companion Mobile App. Freedom Guardian encourages older adults to continue leading the lifestyles they enjoy with the most in-demand safety features and monitoring capabilities — providing round-the-clock protection and daily value to users and their loved ones. We took a risk introducing this type of device, as it’s unlike any other medical alert in our legacy product suite. With a different look and additional features, Freedom Guardian is a bleeding edge technology that is largely untested, and the older demographic is unfamiliar with — making them hesitant to try. Our goal is to onboard our customers before they experience a fall or injury so they can easily transition to more innovative products when we launch them, plus reap the benefits of healthy aging in place earlier on. As technology is one of the main driving forces behind the growth and success of serving our customers, we continue to rethink the tried-and-true devices of today to meet the future needs of seniors living more independently — merging technology with safety. The demand for healthcare technology innovation driven by the aging population and the development of new health and wellness-related products and services have disrupted the aging and health industries in ways previously unimaginable, bringing incredible opportunities to choose how people want to live as they age. Forward-thinking technology, including wearable medical alert devices, help lead to better healthcare outcomes with more connectivity, social engagement, and independence. This is just the beginning of what medical alert devices offer, as monitored medication management, analysis of health trends, biometric sensors, telemedicine and more are just a few of the many features to come. Stay tuned! Today’s medical alert industry is headed towards a connected care movement as advancements in IoT, AI, and connectivity continue to build momentum within the industry. There are more technologies now than ever before that are helping older adults safely age in place, as well as enabling smarter caregiving. Done right with the proper security design and security, advancement in connectivity will give individuals better access to higher-quality healthcare treatment, doctors and an overall experience. From a healthcare standpoint, innovations in connectivity will transform the healthcare market in ways previously unimaginable, enabling people to live healthier and longer lives and increasing the likelihood of aging Americans to age in place. With the ability to transmit data faster than ever before, low power consumption and reduced bandwidth strain, technology innovation will increase efficiency and pave the way for personalized 1:1 healthcare between someone in need of immediate healthcare assistance and a healthcare provider. There wasn’t necessarily a “tipping point” that led us to the breakthrough of our medical alert smartwatch, but rather a natural progression our company’s brand and product evolution over the last couple years. After listening to our customers through market research, sales calls, focus groups, and surveys, we decided to launch a brand evolution in 2017, positioning Medical Guardian as a lifestyle brand and empowering our customers to live their best life. Our brand’s updated messaging, mantra, and mission has truly become the foundation of further developing new products that inspire older adults to age confidently in place and create programs and campaigns that make Medical Guardian a go-to resource for healthy aging. With today’s rapidly growing Baby Boomer generation, estimated to represent nearly one in five Americans by 2030, comes unique challenges of healthy aging. To give older Americans a simple and immediate connection to medical assistance, we knew we needed to develop a product that the user would want to wear and be proud to wear. To understand the challenges associated with aging and meet the new needs of our customers, we launched the market’s most in-demand safety features in an all-in-one, sleek and discreet wearable device. We created a sophisticated, reliable emergency response device that enables our customers to continue leading the lifestyles they love by making their Golden Years their best years. To build widespread adoption, we’ll need to continue to build our product features and services such as rideshare, medication delivery, heart monitoring, step counter, telehealth, and more to increase the usage rate. Before the launch of Freedom Guardian, medical alert services were simply a way to push a button and get help. By continually innovating our service, we will increase the value an older adult can receive from this device, while also gain insights into their daily lives. This will allow us to build a platform that’s customized to our customers’ needs while reducing the stigma of the service altogether. Since the launch of our Brand Evolution in October of 2017, our marketing strategy has really been hyper-focused on flipping the idea of what it means to “get old” on its head — an idea which has largely been supported by our content strategy. By embracing all things aging, we’re working hard to establish the Medical Guardian brand as more than just a leading provider of medical alert systems and the corresponding service — we’re a one-stop-stop for news and resources to help facilitate happy, healthy aging-in-place. By creating inclusive and educational content for both older adults and the growing Caregiver audience alike, Medical Guardian is able to attract new customers and create lasting relationships with at the same time. In the Caregiver realm, it’s especially important to us to create a respected foundation as early as possible, so that as they age into our products, it becomes almost a no-brainer on which brand to choose. It’s that kind of cyclical relationship development, rooted in relationship-based awareness, that creates brands that remain relevant for years to come. We firmly believe that aging well is not something that should be reserved exclusively for those with the financial means to support it — it’s facilitated by a series of choices that Medical Guardian wants to help people make, and the content that we’re producing is helping to support that ideal. 96% of older adults have reported that they want to remain in their own homes as they age, and we are hyper-focused on how we can make that ideal a reality for millions of Americans. My mom’s influence was definitely a driving force in where I am today. She is someone who taught me to dream big, find a life’s work with great passion, and persevere through obstacles along the way. My mom went to college in her 40s, earned her doctorate in psychology in her 60s, and has dedicated herself to helping abused children live their best life. I’m grateful to her for continuously reminding me during challenges along the way that moving forward (rather than looking backward) in life is incredibly important. My desire to build a mission-driven business was inspired by her and for that, I am forever grateful. After my best friend was diagnosed with Multiple Sclerosis (MS), I knew I had to do something. MS is an unpredictable chronic disease with no known cause — yet. Six years ago, I partnered with the National Multiple Sclerosis Society of the Greater Delaware Valley to found what’s known today as Philadelphia’s “fashion event of the year” called Preakness at the Piazza. The event is a fashion fundraiser, which takes place during the Preakness Stakes, with all proceeds benefiting MS education, wellness programs, and research initiatives. To date, Preakness at the Piazza has raised over $700,000! Continue to grow as your business grows. I’ve been a CEO for 13 years and during that time I went from being a 1-person organization to a 250-person organization. If I wasn’t hungry to grow personally and professionally as a CEO, there is no way my business would’ve grown. Hire great leaders. Leaders are more important than hiring great managers. People do great work when they’re inspired. Surround yourself with really smart people, along with people who you trust and are a good fit with your company’s culture. Say “Yes.” Saying “Yes” always opens the door to more opportunities, which can lead to more connections, growth, and success. Invest in great customer service. Great customer service is setting the right expectations and working hard to exceed those expectations. Customer service can make or break a company’s business, reputation, and customer loyalty. If I could inspire a movement, it would be a movement of positivity. I truly believe that a positive attitude produces positive results, and the world is ripe for more of this. People want to surround themselves with optimistic and high-energy individuals. It’s been said that you are the average of the five people you most associate yourself with — surround yourself with people who encourage you to accomplish your goals and being your best self. When people feel good they want to be creative, they want to try new ideas, and they want to work together towards accomplishing goals. Positivity is where results are born. Recently, my favorite quote is by Winston Churchill. “Success is not final, failure is not fatal. It’s the courage to keep going that matters.” This quote is extremely powerful because it holds so much truth in business. Any company that rests on the accomplishments of yesterday’s results or gets motionless because of the obstacles they are faced with is not going to be successful in the long-run. It’s the business that looks to continuously do better through the good and the bad that wins in the end. Founded in 2005, Medical Guardian is an industry-leading, nationwide provider of medical alert solutions. Currently serving over 125,000 users, Medical Guardian provides its customers with award-winning technologies and services to independently age in place, as well as enable smarter caregiving. 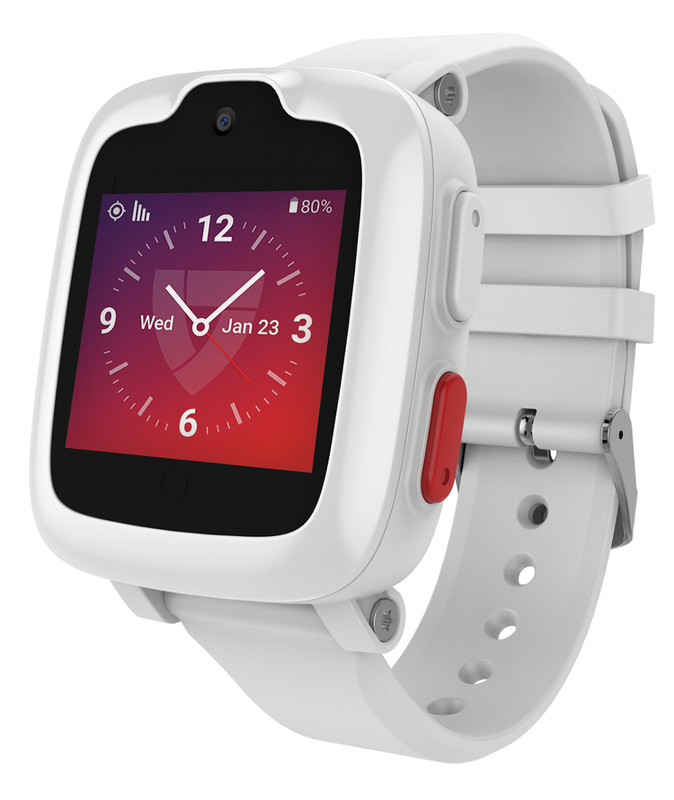 The company continues to be at the forefront of innovation and product evolution, as it was the first medical alert provider to debut the industry’s first-of-its-kind standalone medical alert smartwatch at the 2018 international trade show, CES, and launch it later that year. Medical Guardian sells direct-to-consumer through a combination of the company’s own, internally-led digital, and traditional marketing channels. In recent years, the company expanded its direct-to-consumer model to include 60+ business-to-consumer channels including dealer networks, healthcare partner channels, and some of the world’s largest big-box retailers — Costco, Best Buy, and BJ’s Wholesale. The company’s growth has skyrocketed in recent years, earning both local and national recognition. A testament to Medical Guardian’s growth is its sixth consecutive ranking in the Inc. 5000 Fastest-Growing Private Companies in America list, with a three-year revenue growth of 156%, a five-time ranking in the Philadelphia 100, and ranked #7 in Philadelphia Business Journal’s Soaring 76. Additionally, in 2018, Medical Guardian won a global Silver Stevie Award for Customer Service Department of the Year in the Healthcare, Pharmaceuticals, and Related Industries category. Headquartered in Philadelphia, PA, Medical Guardian was founded in 2005 by Geoff Gross, current CEO. For more information, please visit www.medicalguardian.com. Your readers can follow me on LinkedIn and Twitter. To stay up-to-date on our new, innovative technologies, follow Medical Guardian on LinkedIn, Facebook, Twitter, and Instagram @MedicalGuardian. Look forward to connecting! The Future is Now: “A medical alert wearable smartwatch to keep older adults safe” with Geoff Gross was originally published in Authority Magazine on Medium, where people are continuing the conversation by highlighting and responding to this story.